Construction and property consultant Thomas & Adamson has been appointed by Abu Dhabi Crown Prince Court to provide strategic advisory services for the 2018 event marking National Day 47. 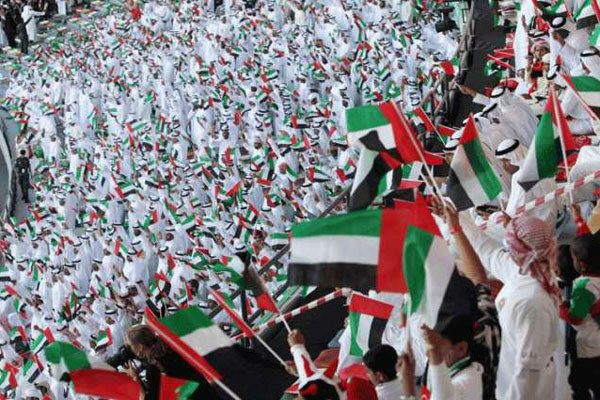 The celebrations, taking place on Sunday (December 2) at Zayed Sports City in front of a crowd of 22,000, will see T&A involved in the contractual, cost management and budgetary control for the event, that will mark the 47th anniversary of the creation of the UAE, said the company in a statement. With extensive experience in both the public and private sector, the company provides a wide range of services including project management, cost management, construction safety services, building surveying, mechanical and engineering services solutions and facilities management. The show will feature live performances, light effects, inspirational readings and visual art, it added. Andrew Mason, the director of strategic advisory services based in the Abu Dhabi office, said: "Due to the scale, relative complexity and unique nature of the show, it has been vitally important during each stage of the project to ensure that any contractual risks were mitigated whilst maximising the available budget." This year’s production, ‘This is Zayed. This is the UAE’ is particularly significant as it brings to a close the ‘Year of Zayed’ celebrations, marking the centenary of the birth of The Late Sheikh Zayed bin Sultan Al Nahyan, the country’s founding Father. On the upcoming show, Rudolph Van Wyk, the director of cost management based in the Dubai office, said this was indeed an honour for Thomas & Adamson to be involved in a project of such national importance during the Year of Zayed. "Working with creative and production partners in a spirit of mutual trust, understanding and co-operation for a knowledgeable and respected client has been a privilege," he added. Established in 1935, Thomas & Adamson has been supporting the construction and commercial property sector for over 80 years through the challenges of procuring, delivering and operating built assets.